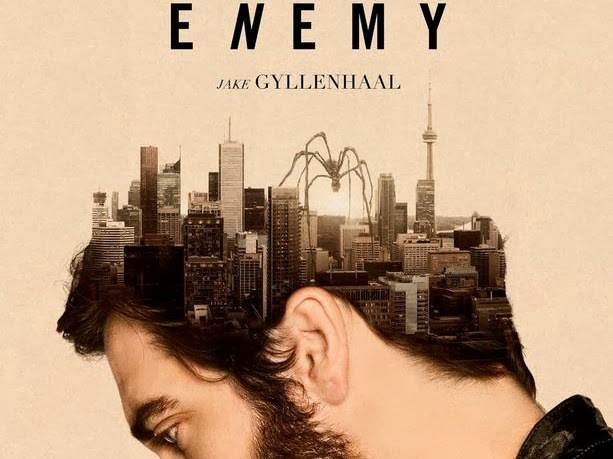 Enemy (2013). Review Written by Corey Bennett. Adam Bell (Jake Gyllenhaal) is a college history professor who appears to be struggling in his daily life. While watching a rented DVD, Bell spots an actor in the background of a scene that is his doppelgänger. Bell becomes obsessed with whom he learns to be Anthony Claire (also Gyllenhaal). After contacting Claire and arranging a meeting, Bell begins to feel uneasy and claims it was a mistake to meet. Claire doesn’t let it end there as the two become entangled in web of deceit and confusion. Gyllenhaal does a excellent job transforming himself into two separate characters, while still maintaining an identical physical appearance. Gyllenhaal’s Bell wears baggy clothing, has poor posture, and routinely shoves his hands in his pockets, while Gyllenhaal’s portrayal of Claire is much more confident with solid posture, well-fitting clothing, and a habit of running his hands through his hair. 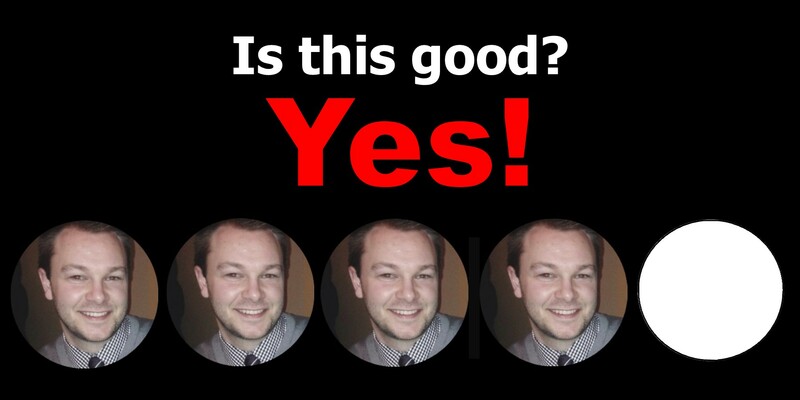 Bell is hesitant with his sentences, while Claire is strong and confident in his delivery. Even when the characters are dressed in each other’s clothing, it is clear who the man is underneath. The director creates a lot of visual interest with his use of light and shadow as well as a strong use of yellow overlay throughout the film. If you catch onto the symbolism and some of the little clues here and there to what is going on… this can be a very enjoyable film, with a big pay off in the end. For those who have a hard time paying attention or picking up on those little details, you may easily get lost. It starts off slow and with little dialogue. As it progressive, it picks up a speed a bit, but never puts you at the edge of your seat. Once things start to get confusing, I’d imagine some viewers might give up on it completely. This isn’t a movie for everyone. Its a bit of a puzzle and open for your own interpretation. Gyllenhaal’s acting is outstanding, the visuals pop, and the storyline keeps you engaged and thinking until the credits role. Director Denis Villeneuve says that they movie is not meant to be linear, but can be watched repeatedly as the storyline spirals into itself on repeat viewings. It is rumored that Villeneuve had the cast sign a confidentiality agreement stating they would not speak about the symbolism of the spiders throughout the film, but to me the spiders represent the affair and his desires as they appear to Bell as a reminder of the mistakes he has made. There are a lot of theories out there about what is actually happening in the movie and if Bell and Claire are in fact two separate people or one person with a split personality… or something else entirely. What I believe we are watching is a battle between one man’s sense of responsibility and his desires. Whether his name is Bell or Claire, he is a former actor, who gave it all up once his wife became pregnant. Sometime in his past, he had an affair that continues to haunt him. He is battling his demons and the deaths of Mary and Claire symbolize the defeat of those demons. There is also an “Invasion of the Body Snatchers” theory, that claims that giant spiders are taking human form… not so sure about this one. This entry was posted in Guest Authors, Movies and tagged adam bell, claire, corey bennett, denis villeneuve, enemy, i am your target demographic, iaytd, jake gyllenhaal, movie reviews, movies, mystery, review, spiders, spoiler, thriller. Bookmark the permalink.